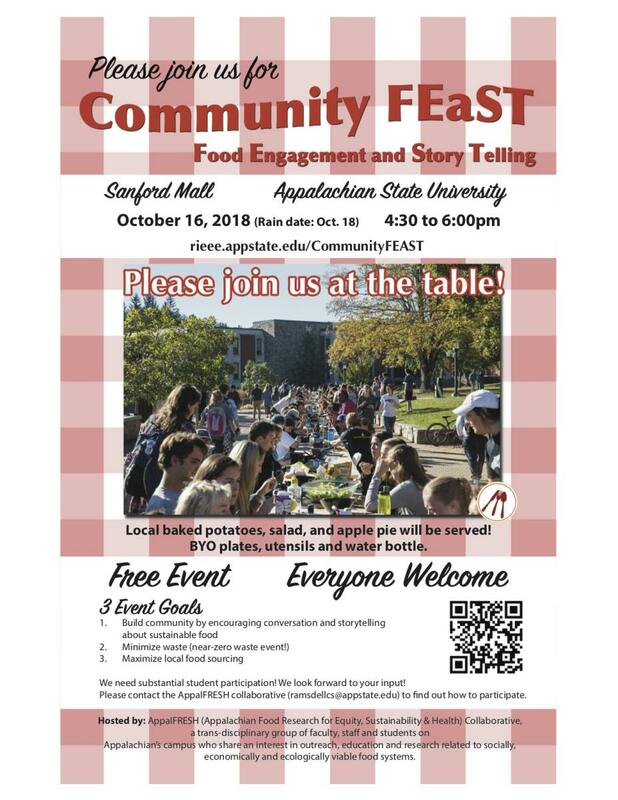 The AppalFRESH (Appalachian Food Research for Equity, Sustainability and Health) Collaborative is hosting the second annual Community FEaST (Food Engagement and Story Telling) on Sanford Mall in the middle of Appalachian's campus on October 16th from 4:30 to 6:00pm (rain day Oct 18). Food has the ability to unite people, and sitting around a 100-yard long table together with the Appalachian family and the wider Boone community is a great opportunity for story-telling and discussions that help shift the momentum of our community toward local, equitable food solutions. Please join us and invite others. This is a free event. To reduce waste, we ask that all participants bring their own non-disposable plates, utensils and water bottles. We will provide potatoes, salad and apple pie. We are looking for groups (Appalachian and community) to "host" food tables by bringing potato and salad toppers (sustainably sourced!). This is not required for participation but the more hosting groups, the more delicious toppers! Please contact the collaborative (ramsdellcs@appstate.edu) if you or your group can help. 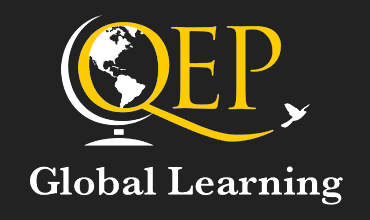 We hope to have live music and lively conversation. Spread the word on campus and in the community, hang posters, invite a friend! EVERYONE is welcome! There are no tickets for this event, it is first come, first served.